As I’ve explained in my previous posts, Roon Labs software can currently be used only with a limited number of hardware devices although that number is growing. German manufacturer ELAC has recently entered the scene (advertisement) with a one-box music server (ELAC Discovery) that includes a great DAC and full Roon capabilities. But if you just want a simple streaming device that can output to your DAC, you need to DIY a Raspberry PI solution or wait for other manufacturers to jump ship. Here’s where US manufacturer Sonore fills a market gap. They are offering purpose-built audiophile mini computers such as the Raspberry PI. But in contrast to the PI, these are ready-to-use in a nice case. I haven’t personally tested them yet but according to the manufacturer, Sonore is using decicated low jitter clocks and better designs for audio playback. Their solutions apparently do not suffer from the limitations of general purpose computers such as the ARM designs including the Raspberry PIs, Cubietrucks or Beaglebone devices. Sonores flagship is the microRendu which currently retails for $690 including a low noise power supply. It comes with an Ethernet port for your network and a USB output that goes straight to your DAC. More interestingly, you can choose between five different software operating modes. You can run the microRendu either as a full featured Roon endpoint but also as an MPD output device. In addition, the microRendu supports a multitude of streaming modes (DLNA, SqueezeLite – for Squeezebox fans just to name a few). Yep, it’s a true chameleon :) With the Open Souce Airport emulator ShairPort, you can even send tunes to the microRendu from your iOS device which is great if you just want to quickly listen to a song you’ve discovered. 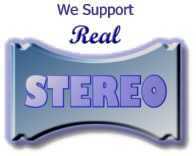 Needless to say that the microRendu supports all resolutions up to 768kHz and DSD512. Streaming services like Qobuz and Tidal would work in SqueezeLite mode. If $700 is too much to stomach, their SonicOrbiter SE at $290 including power supply is way more affordable and comes with an optical output, too. While I personally haven’t seen any differences in features, I believe the Sonicorbiter SE is a simpler construction hardware-wise. Nevertheless it sounds like great value for money! I’m totally hooked on Roon so these are really intriguing products because I already own a good dac. I’m eager to at least try the Sonicorbiter SE if that’s an improvement over the Raspberry PI solutions I’ve built. Do you currently own the Sonicorbiter SE or the microRendu? Let me know your experiences in the comments section. Find more about Sonore Sonicorbiter SE and microRendu here.